Ok – this isn’t an exact replica of Little Caesars Crazy Bread, only a close cheat, I admit that willingly. I’ll also readily admit that I am reposting a recipe which I made minor edits to, and found at http://tasteandseegodsgoodness.blogspot.com/2013/05/little-caesars-crazy-bread-at-home.html?m=1 . 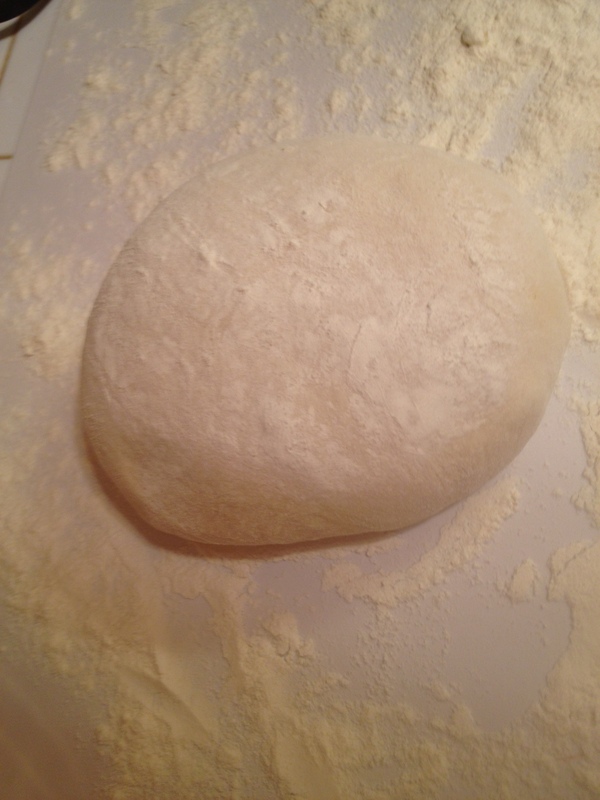 But it is crazy-good, keeps for days, and is a very simple yeast bread. Although I can’t remember the last time I had actual Crazy Bread, I like to think this tastes like the fresh homemade version of the Little Caesars taste stored in my memory. If you want awesome rolls, make some of Trish’s dinner rolls. 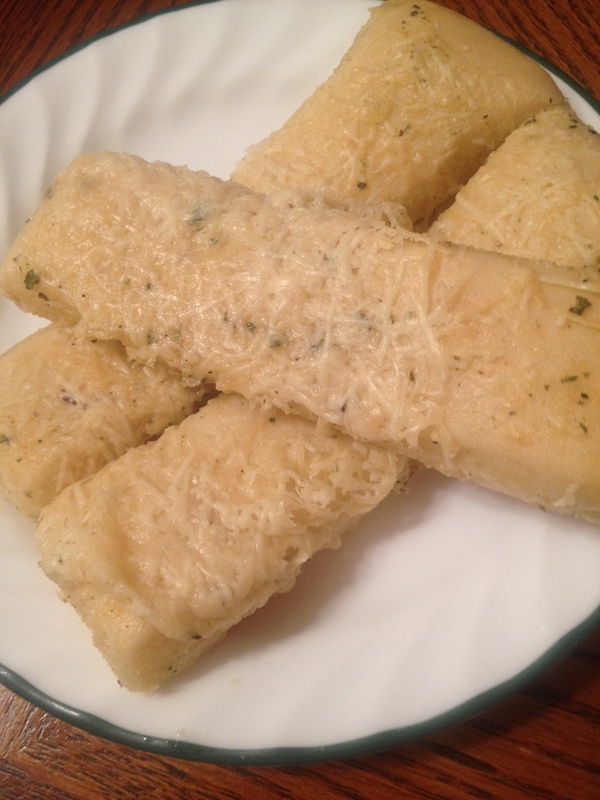 If you want fast and awesome breadsticks, make these. 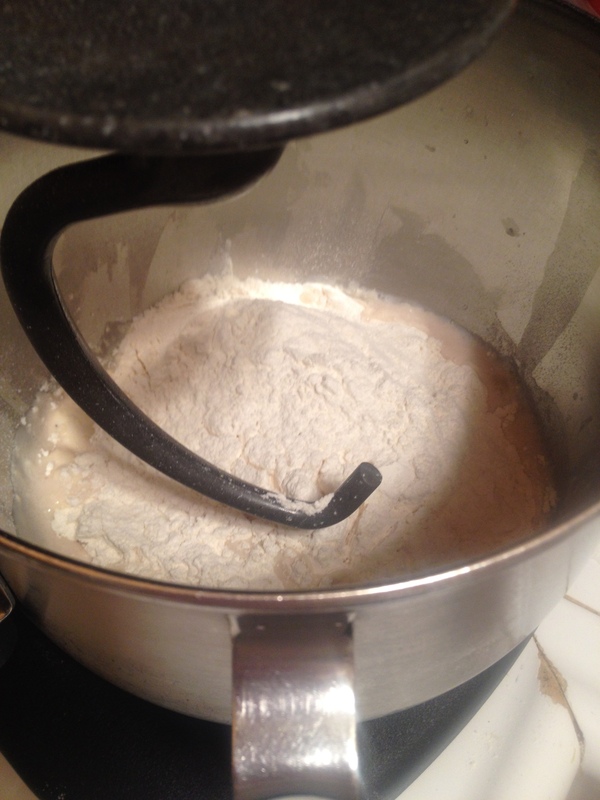 Using a stand mixer, combine yeast, sugar and water. Allow to sit 5-10 minutes, until foamy. Mix flour and salt in a separate bowl. 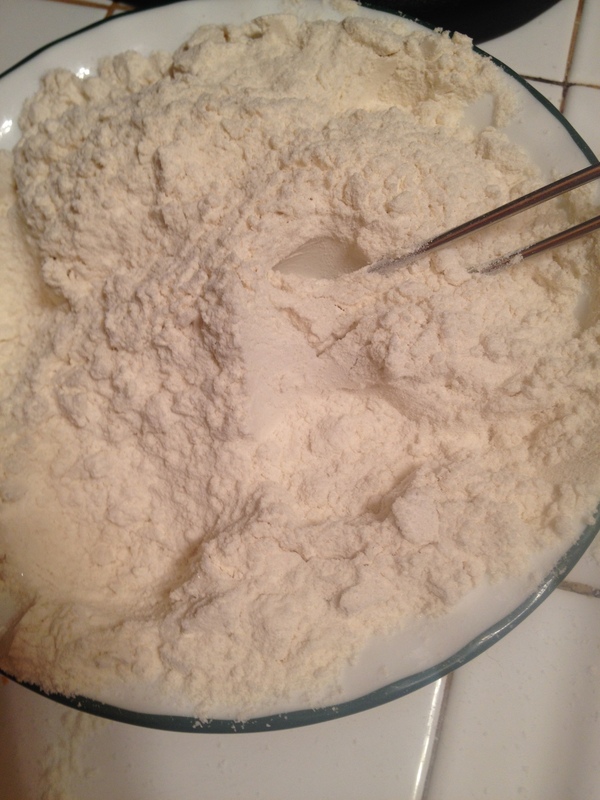 Add 2 cups of the flour to the dough mixture and allow to blend until smooth. 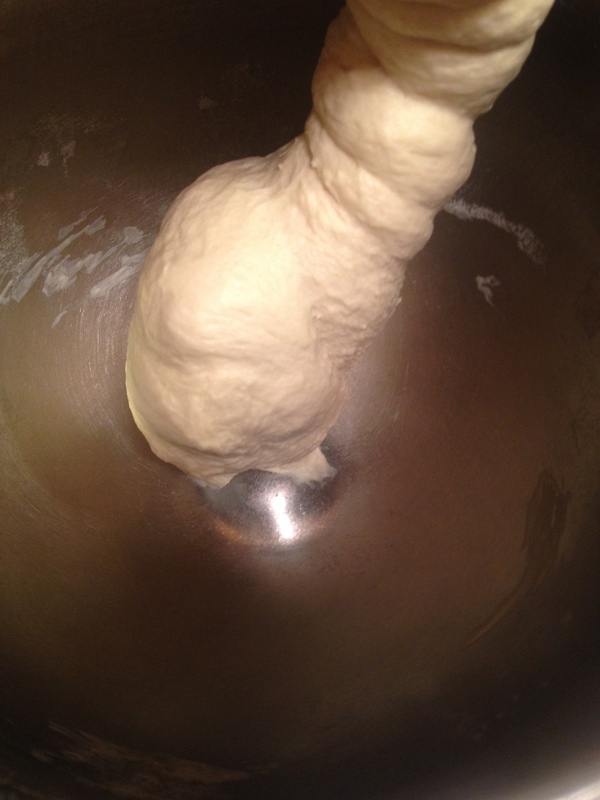 Attach a dough hook. Slowly add the remaining flour until the dough has mostly pulled away from the hook, but is slightly sticky. Turn mixer on low, set the timer for 10 minutes. Turn off the mixer and allow dough to rest 10 minutes. The dough will be slightly sticky. You should be able to handle the dough without it leaving goo all over your hands. 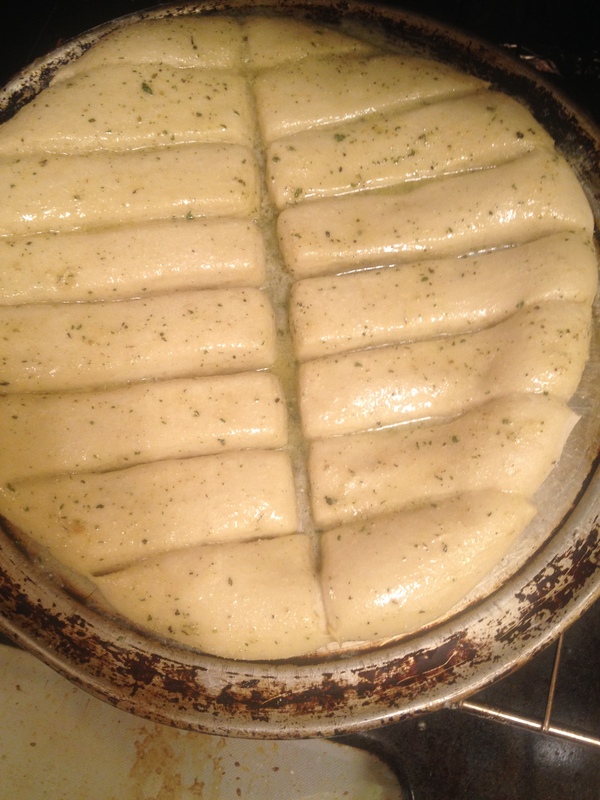 Brush a pizza pan with a very small amount of olive oil, only enough to cover the pan. 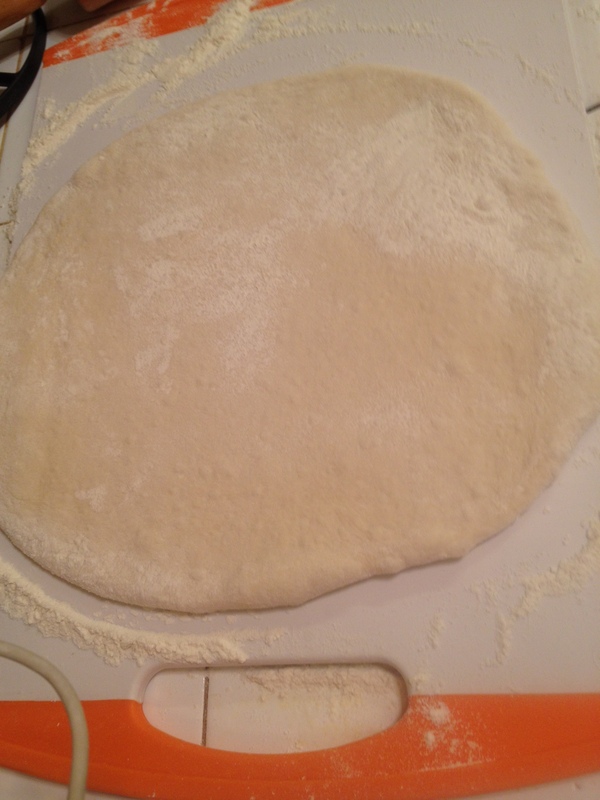 Form dough into a ball, then roll into a pizza shape. 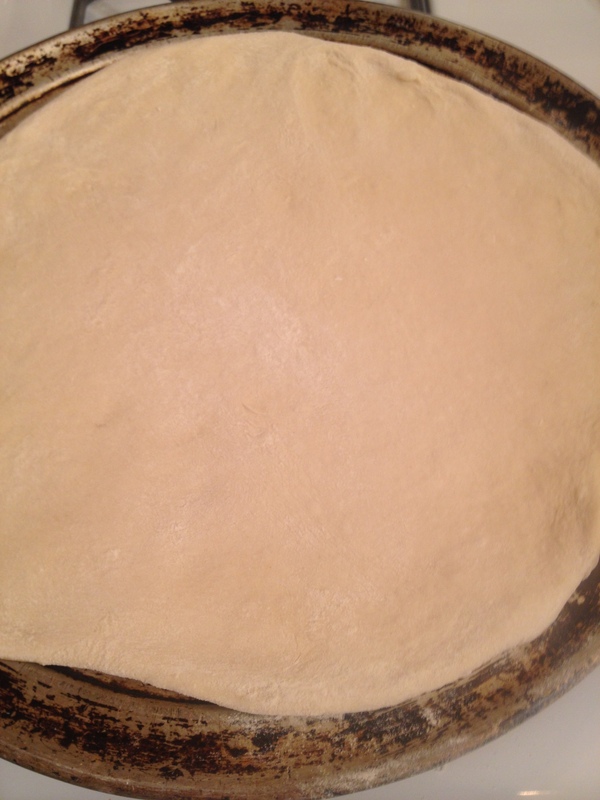 Transfer to pizza pan. 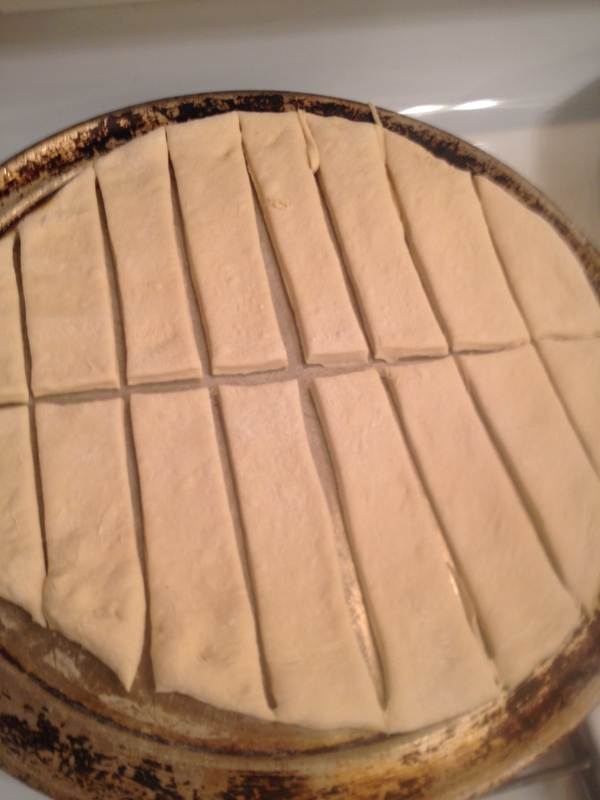 Using a pizza cutter, slice into sticks. Rest/rise on the pan for 20 minutes. 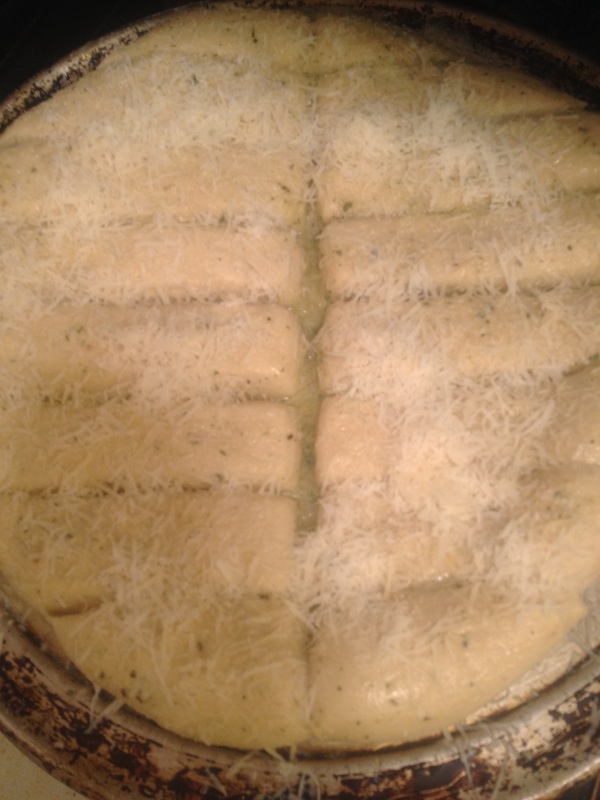 Place into a preheated 450 degree oven for four minutes. Remove and brush with garlic butter. Cook an additional 4-6 minutes, remove and brush again with garlic butter (make simply by melting butter and mixing with garlic powder). Sprinkle with a little sea salt. If you want cheese, melt some cheese on top! Tags: cheater, copy cat, copycat, crazy bread from scratch, easy breadsticks, food, Johnny's Garlic Spread and Seasoning, little caesars crazy bread, recipes. Bookmark the permalink.